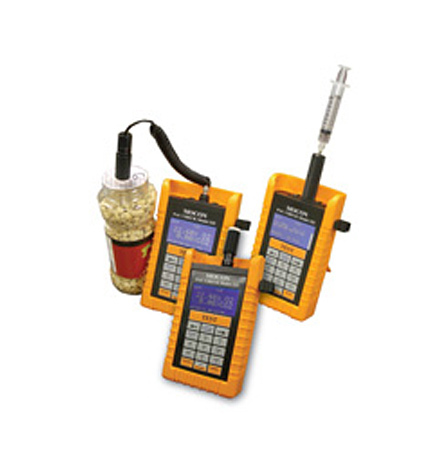 The PAC CHECK Model 325 is a cordless single-handed Oxygen and Carbon Dioxide gas analyzer for checking modified atmosphere packaging materials. It is the ideal instrument for portable, fast and accurate headspace tests and package testing on the packaging line, in warehouses or in laboratories. You can be certain that QA/QC checks are being performed since this analyzer has the ability to store information (400readings) such as (6) operators and product names along with results. Get headspace results and be certain that the product has the best possible packaging quality per operator and per product. The PAC CHECK Headspace gas oxygen analyzer is imperative for accurate shelf life testing of finished packages, including CAP/MAP (Controlled Atmosphere Packaging / Modified Atmosphere Packaging).Sample package testing is necessary to insure package integrity and to confirm the level of O2 and CO2 left in the package. The PAC CHECK Systems are used in production and quality control.